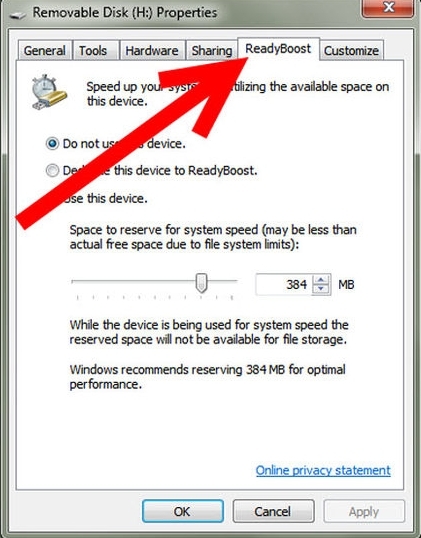 In this System booster method, you will have to use external Pendrive to speed up our computer. So, you have to use Pendrive or USB memory on your system as a RAM. 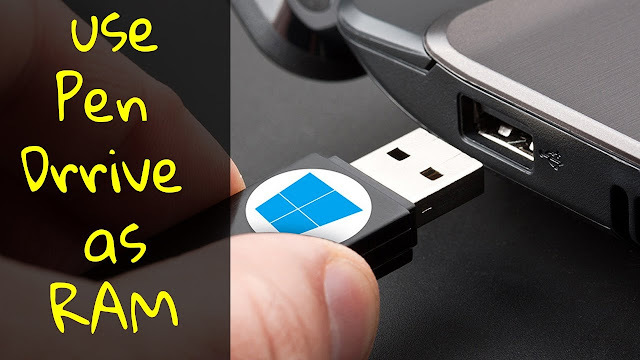 Insert USB or Pendrive in your PC port. Right, click on Pen Drive in Computer and open properties. Now select ReadyBoost button in properties. Check the “use this drive” radio button there. Now choose the memory that you want to allocate to the system for use. Now click apply the OK.
That’s it! now that USB will work as your external RAM in your computer. From now Your system will be boosted and it will be using your Pendrive as a RAM until you have inserted into your Computer.